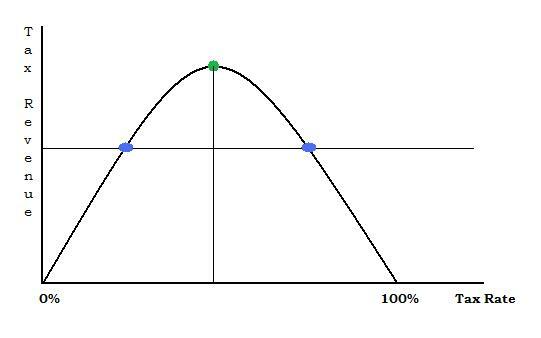 The above graph is the Laffer Curve, named after economist Arthur Laffer. This graph demonstrates that when tax rates are increased past a certain rate, tax revenues will decline. Arthur Laffer and Stephen Moore (from the Wall Street Journal) have a new book called “The End of Prosperity–How Higher Taxes Will Doom the Economy, If We Let it Happen.” It is an excellent read and explains how lower taxes and other supply side principles fuel economic growth. It is available through the Recommended Books link above.